Celtic striker Moussa Dembele is attracting heavy interest from the likes of Manchester United, Real Madrid, Chelsea, and Manchester City. Dembele has become a sensation over the last couple of months, since he joined Celtic from Fulham on a four-year deal. The youngster has already found the net an incredible 15 times for the Scottish club this season, including a double against Manchester City in the Champions League, and four goals across two games against Rangers. 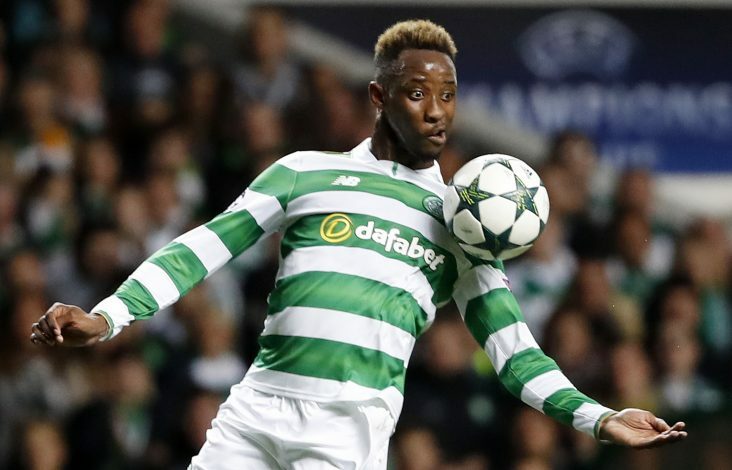 Having left Fulham on a free transfer in the summer, the France u-20 international has seen his stock take a dramatic rise, and reports suggest it would require all interested clubs to cough out a massive £40 million in order to persuade Celtic to let him go. Manchester United, in particular, are reportedly very keen on signing the youngster. Despite having some of the best attacking talent, the Red Devils have struggled to find the back of the net, and have relied heavily on Zlatan Ibrahimovic for goals. But with the Swede now struggling in front of goal himself, the Old Trafford outfit will be in the market for a quick solution. Real Madrid, too, have shown an interest, with manager Zinedine Zidane tipping the youngster for greatness. “I have played with great strikers like Ronaldo, Henry, and Raul, and you knew on the biggest occasions they would win you games. Dembele is already showing that,” said the French legend. However, Dermot Desmond, one of Celtic’s major shareholders, insisted that the club are not interested in selling Dembele.